Located 30km north-east of Florence in the beautiful countryside of Tuscany, Mugello is a modern circuit with excellent facilities. 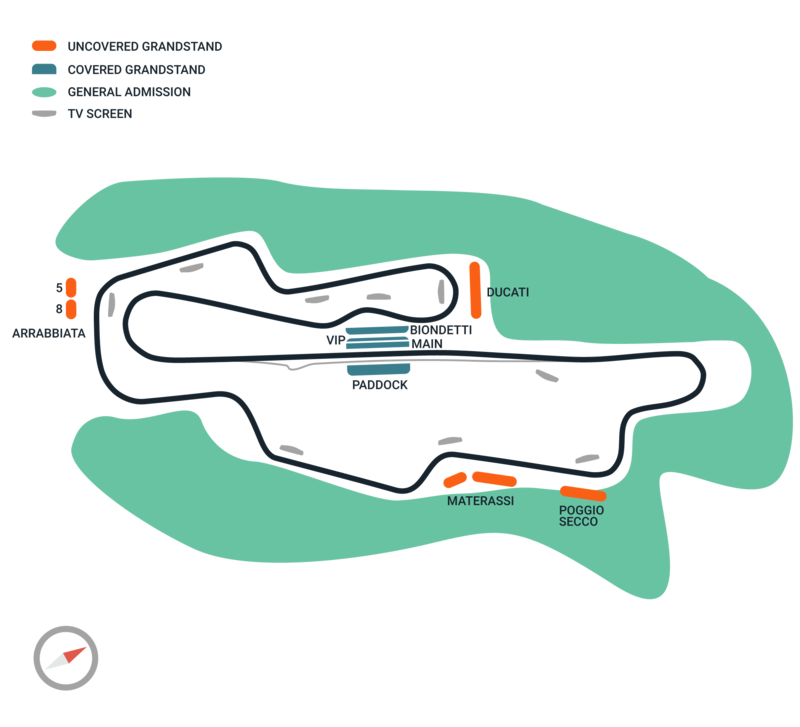 Bought by Ferrari back in 1988, the 5.245km track has been renovated to a high standard and has a growing reputation as one of the world’s most up-to-date, scenic and safest race circuits. A blend of slow and fast turns with sweeping curves, long straights and off-camber corners make Mugello one of the most challenging circuits for the riders and engineers. Having hosted its first MotoGP event back in 1976 the venue became a permanent fixture in 1991 after extensive refurbishment. Set within a beautiful tree lined Tuscan valley, Mugello also offers ample viewing areas for a particularly boisterous and partisan Italian crowd.